Over the last year ETHER has entered into an agency agreement with various businesses in order to provide you with the best products on the market. The products that have been chosen are products that will be beneficial to a range of heritage items and the institutions who hold them. We have established an agency of Conservation By Design (CXD) of the UK, who have a vast catalogue of conservation materials and equipment, and who provide their products to some of the world’s top museums. CXD have recently purchased Stouls of France, and their entire Stouls catalogue has been added to the CXD catalogue. For information on ETHER Conservation or for a catalogue click here. For more information on CXD click the company logo above. Estelle has been working at the Alan Paton Centre since 2002 and is currently the Senior Conservation Officer. She has over 15 years of curatorial and conservation experience and has extensive training in paper, book and textile conservation. She received her Doctorate in Art History from UNISA in 2003 and attended numerous paper conservation courses at Centro del bel Libro in Switzerland between 2007 and 2013. 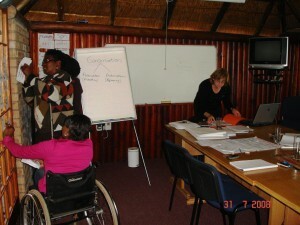 Estelle runs a Photograph and Film Preservation Workshop at the Alan Paton Centre, in collaboration with ETHER. Workshops on Conservation Training and Paper Preservation are planned for 2015. ETHER Digital is proud to announce that we have established an agency for the top-end range of Zeutschel scanners. Our focus is on heritage digitisation and we will be working with libraries, archives, museums, and similar institutions who hold documentary heritage to offer these scanners as part of a range of digitisation services. For list of scanners we represent click through here. To have a look at all the new scanners at your disposal click the company logo above. ETHER Conservation has entered into a new partnership with a South Africa based company called Qzone Purification Technology. Their products help prevent and stop the spread of fungi spores that lead to mould and mildew. They have been assisting the Adler museum to reduce the threat from moulds in their storerooms and are also currently involved in a big project in the Seychelles to reduce the threats from moulds in the National Archives, with the installation of upper room ultraviolet irradiation units to contain the spread of spores. Ozone Purification Technology design and manufacture the ultraviolet units locally, and with locally available parts. The UV germicidal irradiation (UVGI) units are regularly tested for their efficiency by the CSIR, NHLS and universities. To look at the products that ETHER will be representing click here. For information on the company click the picture above. Pétria is a qualified archivist with 27 years of experience in the fields of archives and records management. She has worked as a consultant, researcher, heritage worker, project leader and trainer. She is passionate about her work and runs these workshops because she feels it is vital for heritage professionals to work together to achieve best practice in archiving methods. Pétria runs a three-day Archiving Workshop, in collaboration with ETHER.